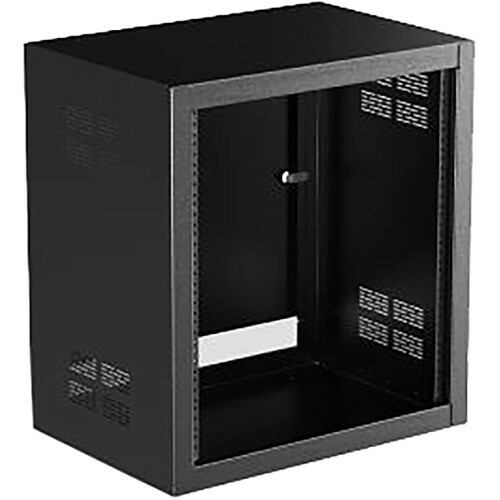 The Atlas Sound 400-Series 412-15 is a desktop rackmount cabinet fashioned out of 16-gauge cold-rolled steel. It's designed to house AV equipment, as well as broadcast gear, CCTV equipment, and more. This model offers 12 RU of rack space. The unit ships fully assembled, with 10-32 pan-head screws for the supplied panel mount. A pair of 12-gauge fixed mounting rails are provided, as is a removable, lockable door.